A great new idea and what has been greatly needed. Make use of it for yourselves and pass it on to the person you care for. 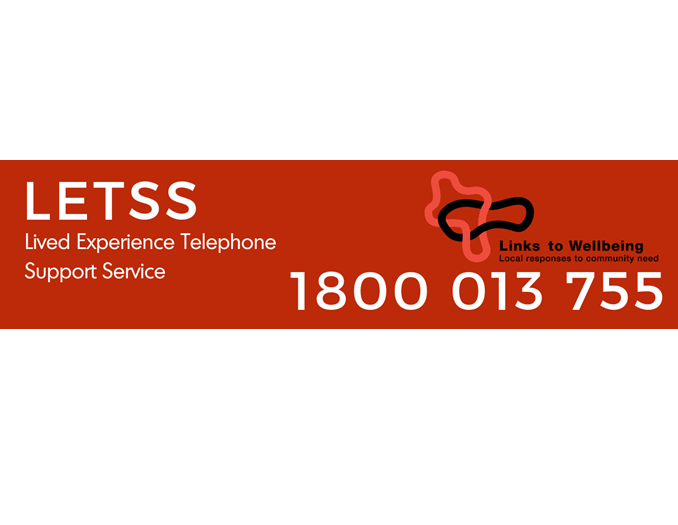 The new Lived Experience Telephone Support Service (LETSS) phone line aims to assist people to access mental health support during the hours of 5pm – 11:30pm, 365 days a year.